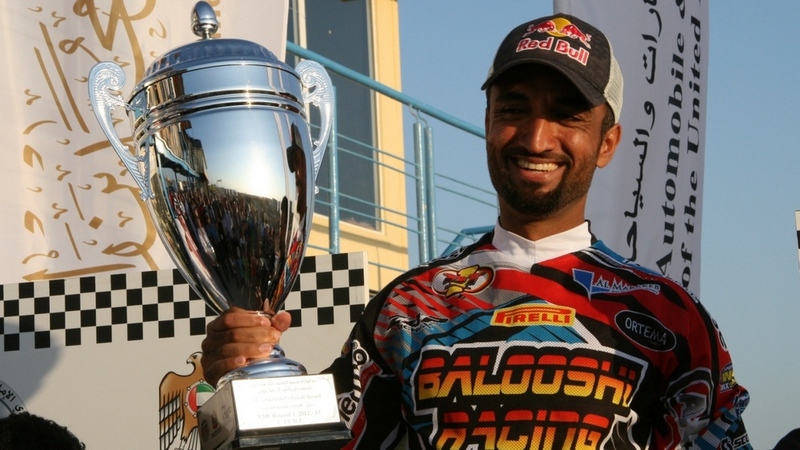 Dubai, UAE, 16 November, 2012: Mohammed Al Balooshi has won the UAE’s inaugural Arab Motocross Championship on home territory today at the Jebel Ali DMX Motocross track, bringing a fitting finale to an action-packed weekend. Competing in the top tier MX1 category, the Emirati home favourite won both of his two races with ease, clocking 11 laps on the 1,600m track in 21 minutes and 55 seconds in the first race, while easing through his second race in 22 minutes and .06 seconds. Held under the support and patronage of H.H. Sheikh Mansoor bin Mohammed bin Rashid Al Maktoum, the Arab Motocross Championship is organised by the Automobile and Touring Club of the UAE (ATCUAE). The championship attracted a top line-up of riders from eight Middle East countries competing across two bike categories (MX1 and MX2) and a pro quad bike category. While Al Balooshi underlined his credentials as one of region’s premier moto cross riders, fellow Emirati Mansoor Salem also dominated the pro quad bike category, winning both of his races with times of 14 minutes and 31 seconds in the first race and 16 minutes and 49 seconds in the final race. Meanwhile, Kuwaiti rider Mohammed Jafar reigned supreme in the MX2 category, with a commanding performance in both race heats, with winning times of 22:31 and 22:33 in Race 1 and 2 respectively. Since being restructured, the AMF has been working toward developing a full calendar of motorcycle racing events in the Middle East that run to the international standards laid down by the International Motorcycling Federation (FIM), the sport’s world governing body.